We’ve put together this brief collection of frequently asked questions to help you find the information you are looking for as quickly as possible. While we love to hear from our viewers, it is our hope that your question is answered below. If it is not, please use the link to the contact us form, at the bottom of this page, and be sure to select the correct subject line, so your question is sent to the proper person. Due to the high volume of email we receive, in the event that your question can be answered using the information below, we will be unable to respond to you individually. 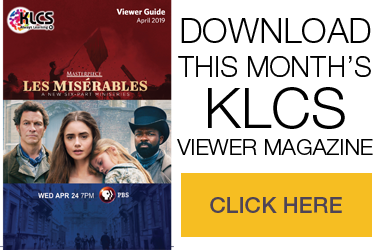 Where can I find KLCS on my television? KLCS is broadcast over-the-air on Channel 58. It is also carried by AT&T U-verse (Channel 58), DirecTV (Channel 58 or 964), DISH Network (Channel 58 or 964), Verizon FiOS (Channel 15) and most cable companies. Click here http://klcs.org/find-klcs/ for a list of providers and channels, or consult your local listings to find KLCS-TV in your area. I can’t find KLCS on my TV. Where did it go? Click here http://klcs.org/where-did-we-go/ for the answer. When is my favorite show airing? All KLCS programs are listed on our website, on the Schedule http://klcs.org/schedule/ page. If you don’t see a show listed there, it is not currently scheduled. Are there career opportunities at KLCS? Does KLCS offer Internship or Volunteer Opportunities? Please contact us by clicking here http://klcs.org/contact/ . Be sure to indicate your specific area of interest, your contact information, and your approximate availability. How can I financially support KLCS? 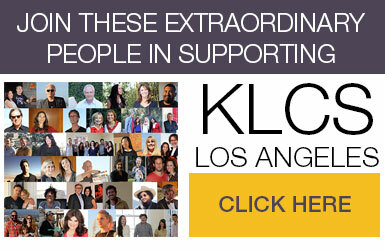 You can click here http://klcs.org/membership/ or visit our home page link “Support KLCS.” It only takes a couple of minutes to make a pledge of support to KLCS. The Membership Page will give you all the information you need to support KLCS online, by phone, text or mail. How can my business support KLCS? Please contact us by clicking here http://klcs.org/contact/ , and put Underwriting or Sponsorship in the subject line. We’ll be back in touch with you soon! How can I rent the KLCS studio production facilities? Click here http://klcs.org/studio-rentals/ for more information. How can I donate my car to KLCS? Click here http://www.cardonationwizard.com/klcs/info/car-donation-los-angeles-ca.html for more information.